If you're looking for something a bit different for your smoke, why not go for a pipe carved from real bone? 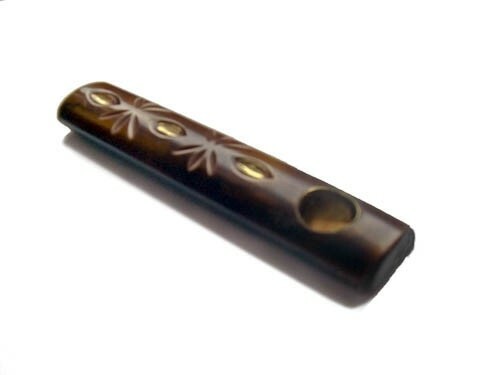 This pipe features a wide, shallow bowl and a lovely design, with details picked out in a gold colour. Shade may vary.